Pensacola Community Arts & Recreation Association! 2:30 p.m. & 7:00 p.m.
“Faith Vs Fear” is about life conditions, tests, trials and tribulations that we all go through in life. Through it all, God has promised to bring us through as long as we keep our trust in him. This unique theatrical production takes place in a small, I mean small country town call, Frog Eye, Alabama. The characters in this play at some point in their lives made decisions or will make decisions that have brought about or will bring about a change in their lives. The message of salvation is making its way through Frog Eye, Alabama and through its audience. 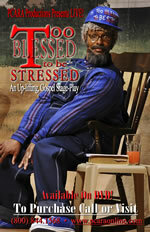 This unique theatrical play (ministry) is inspirational, realistic and down-right hilarious! This is a must see production! 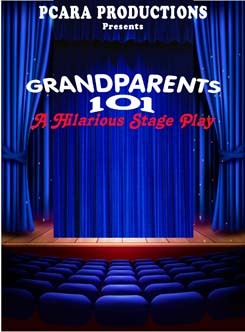 “Grandparents 101” is simply about what it takes to be good parents. This production is guaranteed to have you reminiscing about your own childhood and the days of yore. “Grandparents 101” will make you nostalgic for the past. "How Johnnie Mae Got Her Groove On!" is soul-stirring! It’s uplifting! It’s explosive and extremely hilarious! This unique drama is destined to capture your heart and widen your eyes to the heartbreak and triumph of a soul-searching woman, while having a hilarious comical twist. This play is simply about faith in the Lord. This is a must see production! 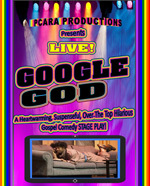 "Google God" is a heartwarming, suspenseful and over-the top hilarious gospel comedy stage play, “Google God” is about searching the Internet and looking for love in all the wrong places. This hilarious theatrical production will keep you on the edge of your seat wondering what is next. Get your now! is electrifying, shocking, realistic and down right hilarious! 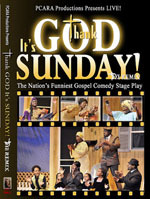 This awesome theatrical production is about a Christian-Hearted lady who lives for each Sunday, so she can get her praise and shout on with the Lord, eat a good Sunday dinner, sit on her front porch in her rocking chair and enjoy a peaceful afternoon without all the drama she has to put up with during the week. This is a must see production! Put on your shouting shoes and get ready for a toe-tapping, foot-stomping, hand clapping, laughing, good time! “The Congregation In Full Effect! Featuring The Boogie Woogie Preacher & Posse!” is simply about keeping it real as Christians who are seeking to do God’s will. 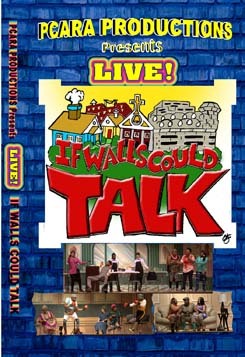 This outrageously, funny comedy stage play is guaranteed to make you laugh, cry and testify all at the same. “The Congregation In Full Effect! Featuring The Boogie Woogie Preacher & Posse!” is comprised of outstanding acting, superb singing and dancing and an uplifting message. It’s a hilarious theatrical performance you will never forget! It’s enjoyable for the entire family to see. “The Unbelievable Man” is guaranteed to take your mind on a journey like never before. .
Leroy Williams' gospel play takes place in a doughnut shop, but nothing like this has ever happened at Krispy Kreme. 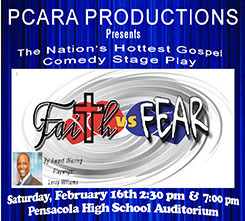 "The Unbelievable Man," a slapstick comedy with a serious message, is directed, produced, written and performed by Williams, an award-winning playwright and president/founder of the Pensacola Community Arts and Recreation Association, known as P.C.A.R.A. Produced by P.C.A.R.A. Productions, "The Unbelievable Man" is guaranteed to take your mind on a journey like never before. Get ready for the flight of your life! This awesome threatical production depicts an unbelievable man in a bad sense and in a good sense. Ultimately, there is only one man who appears to the unsaved as unbelievable, and appears to the saved by faith as believable. That man is Jesus Christ. 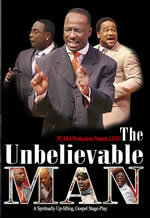 The "Unbelievable Man" is electrifying, shocking, realistic and down right hilarious! 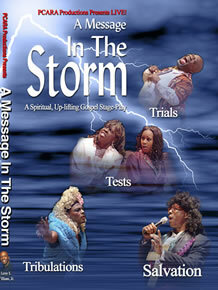 “A Message In The Storm” is about life conditions, tests, trials and tribulations that we all go through in life. Through it all, God has promised to bring us through as long as we keep our trust in him. “A Message In The Storm” takes place in a small, I mean small country town call, Fatback, Florida . 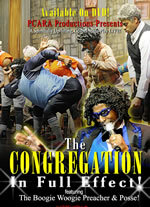 After Pastor Eugene Sinkfield, better known as the Boogie Woogie Preacher hears a late night emergency announcement on the radio station that Tropical Storm Junebug has been up-graded to a Category One Hurricane, and that there are no more shelters in town, he decides to use his church, Down To Earth Christian Ministry as a shelter. The characters in this play at some point in their lives made decisions or will make decisions that have brought about or will bring about a change in their lives. The message of salvation is making its way through Fatback, Florida , through its audience, and throughout the world. 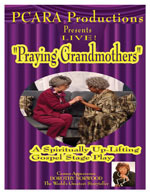 This unique theatrical play (ministry) is inspirational, realistic and down-right hilarious! This is a must see production! This production depicts the life of Geraldine Shoemo who proclaims to be a saint of God, however she is viewed by her employees and old friends as a very arrogant and self-righteous person. After lunch at Ham Hock Café her life is changed forever. 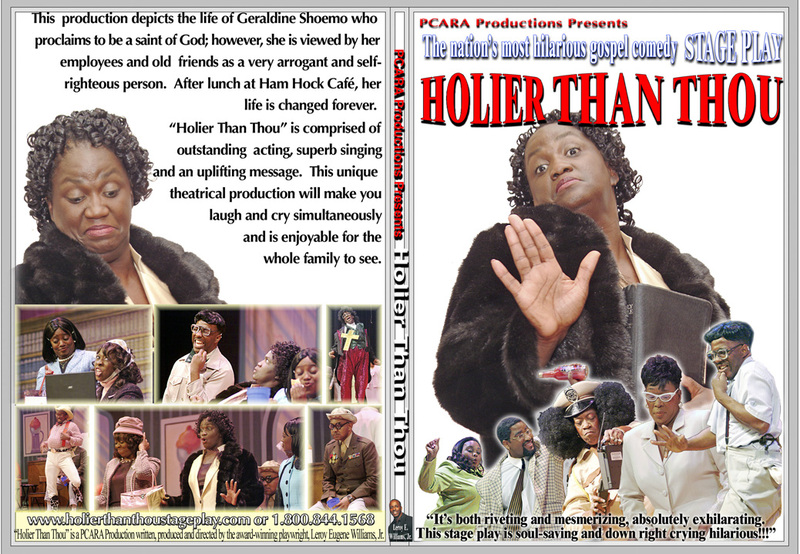 Holier Than Thou is comprised of outstanding acting, superb singing and an uplifting message. This unique theatrical production will make you laugh and cry simultaneously, and is enjoyable for the whole family to see. 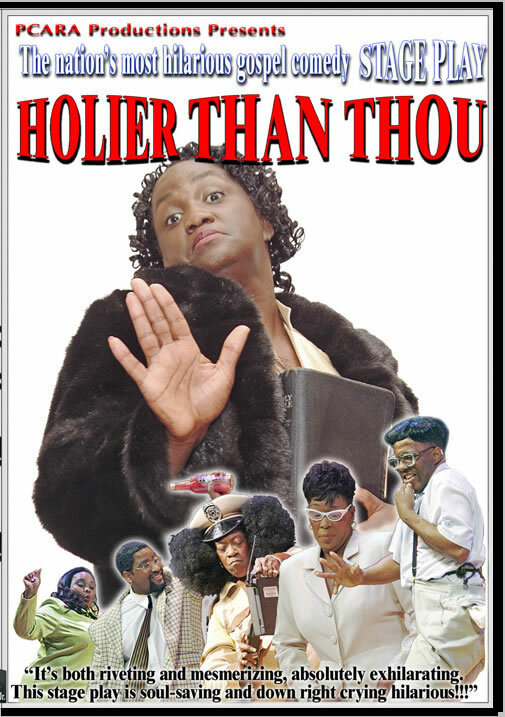 Holier Than Thou is comprised of outstanding acting, superb singing and an uplifting message. This unique theatrical production will make you laugh and cry simultaneously, and is enjoyable for the whole family to see. The "Boogie Woogie Preacher" is about a preacher who has a very unique way of winning souls for Christ. It is his mission to save all those who are not saved so that they can one day enter the kingdom of God. 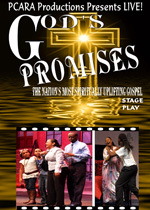 This gospel stage play also displays a comical twist on what actually takes place in the church as it relates to it's members. Though this is a comedy stage play, each scene has a very powerful message that should encourage each individual that attends, that it is never too late to give your life to the Lord, and that we always have a friend in Jesus no matter where we are in life. Order your 2 DVD set NOW! PCARA was formed to assist in the prevention of illegal drug use, pregnancy, and violence among the youth throughout the Pensacola community. The Pensacola Community Arts and Recreation Association is the proud winner of the Children's Champion Award! The category they won in was Organization. The Community Drug and Alcohol Commission nominated PCARA for this award for its works to prevent illegal drug use, teen pregnancy and violence among youth throughout the Pensacola community. The award was received by Leroy Williams, President of PCARA, on Friday, April 1, 2005, at the third annual Breakfast of Children's Champion at Skopelos On The Bay, Scenic Highway, Pensacola. Subscribe to our Newsletter and stay up to date on all of the stage plays, events , productions and antics of the Boogie Woogie Preacher!